This week, I am featuring Tracey Fry and Joanne Ling from Additive-Free Lifestyle. Tracey and Joanne are two super inspiring sisters who get to share their happy and healthy lifestyles with others. Their recipes are AMAZING!! I hope you enjoy my interview with Additive-Free Lifestyle. Tell us a little bit about yourselves, your family, what you do and what inspired you to lead a healthier lifestyle? Tracey and Joanne are two mothers, both wives and both into living the healthiest and happiest lifestyles we can. Together they have created Additive-Free Lifestyle to not only help their families, but those around them achieve the same. They are passionate about changing the way you look at food by spreading the message that additives and preservatives can be toxic to your health. Their mission is to educate everyone (especially their own families) on exactly what they are eating, what is in our food and some of the harmful effects this can have on your health. What inspired you to start Additive-Free Lifestyle? Joanne’s daughter suffered from a lot of medical complications from an early age, but one of the biggest things was her behavioural issues. 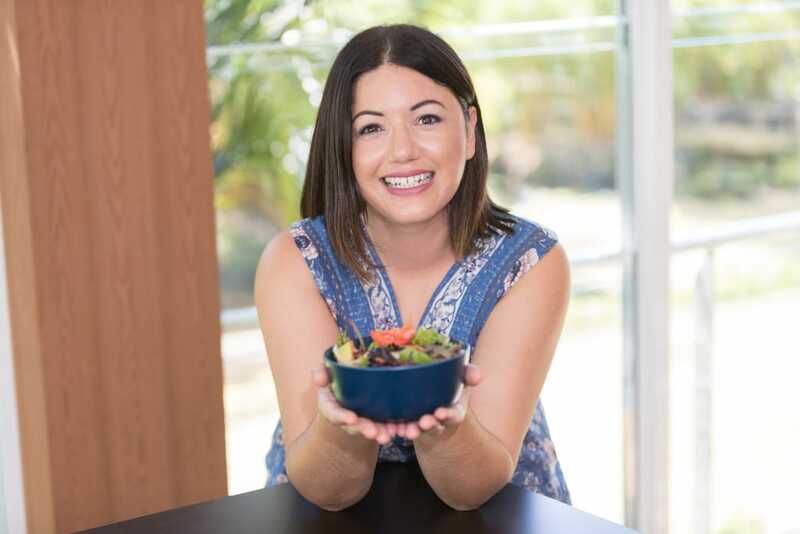 Once Joanne started looking into food, more importantly, exactly what was in food, or the chemicals that were added to food to preserve it, she quickly realised that this could be effecting her daughter. She started to question everything they ate, looked at the ingredients list instead of the marketing on the packet and noticed changes immediately. Joanne has now transformed to living an additive and preservative free lifestyle and has never looked back. We have so many plans for 2016. Starting with a free 21 day challenge into eating additive and preservative free, we also want to continue with our free webinars, another printed cookbook full of amazing additive free cakes, biscuits and slices. Plus we would love to start a Sister Club which we have loads of ideas for, but are still working out all the finer details. We released Additive Free Made Easy, an online course into starting your journey towards eating a diet free from chemicals. We are so excited about this and the response to round one was phenomenal, we knew we had put together an amazing course, but we were overwhelmed with the amazing results people were seeing in their children’s behaviour (as well as their own health improvements). What is the Number 1 tip you would give to someone who is just starting to make changes to their health and wellness? Take it slowly and ask for help along the way, don’t try and do it all alone, it is just too hard. And #dontstressit (this is actually the motto for our course). Don’t stress if you need to buy some convenience food every now and then, no one is perfect, just do the best you can each day and if you have a bad day – don’t stress it! Do you have a few friends that also like to cook and create. Start sharing your products. Basically, if someone makes sauce, someone makes jam, the next makes relish etc etc then all you need to do is swap with each other. This way you are all saving money and time, and you all end up with a mix of homemade goods to take home. What’s the saying – “more hands make light work”. We have a whole blog post about it called Eating Organic, Not Just For the Rich and Famous – you can find that here. What healthy dinner options would you suggest to someone who is time poor? Plan ahead, think about what you have in your diary and plan and prepare in advance. You have to plan everything else in your life (parties, weddings, holidays, even what clothes you are going to wear), so you also need to plan what food you are going to eat. Make double, when you can, and freeze the leftovers. Spend one day a week making food for those busy days you know are coming up. Use your slow cooker, prep the food the night before and then in the morning chuck it all in and dinner will be ready when you get home. Couldn’t be easier. Jo loves heading to the beach (as she is in Qld) and getting a pedicure is one of her favourite things. Tracey loves a massage and just started playing club netball again (yes even at 41, lol). Tracey’s favourite recipe dinner recipe would be Spaghetti Carbonara – mainly because it is so quick to make and the whole family love it. But as a sweet treat, she can’t go past raspberry and white chocolate cheesecake. Joanne’s favourite recipe is Caramel Slice – this is to die for and is always a winner. Where you can find Tracey and Joanne.